Observant chart watchers may have noticed an unfamiliar - and unusual - name in the UK top 30 album chart this week. Among a flurry of new entries from Peter Andre, Jay-Z, Pixie Lott and David Gray is an album by a band that has been around longer than any of them: Porcupine Tree. If you see someone in the NME talk about progressive rock it's not immediately followed by a snigger. Although largely unknown to mainstream audiences, the Grammy-nominated band's 10th studio album The Incident went straight in at number 23. No mean feat considering The Incident is a 55-minute song cycle in 14 parts. Along with Muse's entry straight into the number one slot, it's a combined assault on the charts by two bands who are often tagged "progressive rock". 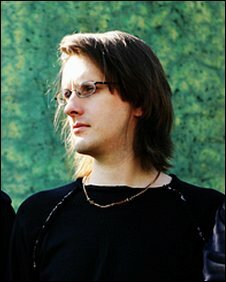 "I have less on an issue with the word 'progressive' than I did even five years ago," says Steven Wilson, Porcupine Tree's founder and frontman. "I think it's been legitimised again. If you see someone in the NME talk about progressive rock it's not immediately followed by a snigger." Wilson is currently in the US where Porcupine Tree have just embarked on the first leg of a world tour which will see the them playing The Incident in full every night. "It's not an easy piece to pull off live," says Wilson. "In the first 15 minutes I have five or six instrument changes. It's getting better. I'm sure by the time we hit Europe we'll be able to pull it off beautifully!" Porcupine Tree started life as a creative project for Wilson in 1987 - in Hemel Hempstead. It wasn't until 1993 that a full band was in place, including keyboardist Richard Barbieri - formerly of 80s art rockers Japan. The current line-up of Porcupine Tree is completed by Gavin Harrison (drums) and Colin Edwin (bass). It flourished again in the 80s with bands such as Marillion, and Porcupine Tree have helped carry it into the 21st Century. "To see someone like Muse and Porcupine Tree cracking the top 25 together shows the huge shift in terms of where people see progressive music is coming from, and also how popular it is becoming," says Jerry Ewing, editor of Classic Rock Prog Magazine. "Progressive music is such a broad category from Muse to Radiohead all the way across to Mastodon and Dream Theater," he says. "It's drawing in a whole younger audience which has never heard of Yes or Genesis, and they don't have the preconceptions that they used to have." Wilson concurs: "It's no coincidence we are seeing bands like Muse, Porcupine Tree, Sigur Ros, Flaming Lips and The Mars Volta having top 30 albums, because I don't think ambition is a dirty word any more. "Radiohead were the Trojan Horse in that respect. Here's a band that came from the indie rock tradition that snuck in under the radar when the journalists weren't looking and started making these absurdly ambitious and pretentious - and all the better for it - records. "And Muse have very much consolidated that. They make records that Queen would blush at - and I totally applaud them for it." Muse's Dom Howard told the BBC last week he'd always been a bit confused by the progressive rock tag. "I associate it with 10-minute guitar solos, but I guess we kind of come into the category. A lot of bands are quite ambitious with their music, mixing lots of different styles - and when I see that I think it's great. I've noticed that kind of thing becoming a bit more mainstream." 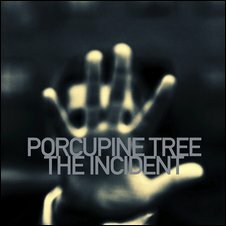 Porcupine Tree's new record - The Incident - was inspired when Wilson became caught in a traffic jam near the scene of a road accident. He noticed a sign saying "POLICE - INCIDENT" and was struck how such a "cold expression" was often applied to destructive and traumatic events. The album (which includes four standalone songs on a separate CD) demands to be heard as a linear experience. Wilson compares it to reading a book or watching a film. "My favourite period of music is the great album era, from Sgt Pepper through to punk rock," he says. "That 10-year window is still the most inspirational. There was a tradition at that time of the album being elevated much higher than the individual song. What's interesting now is that we are moving back to that tradition as a by-product of download culture." And he had no fears about making such a conceptual piece with a 14-part suite. "Our last record had an 18-minute track on it and people loved it," he says. "The more self-indulgent we became, the more people liked it. It gave us this confidence to do something even more absurdly ambitious."